Holy crap, these were good. 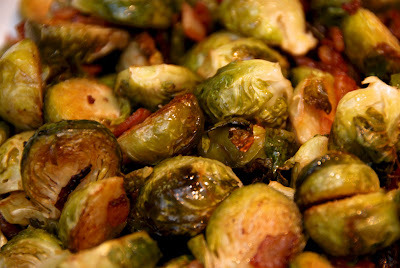 M made 'em last night, and says they couldn't be simpler to make -- the Brussels sprouts and bacon are roasted together in the same pan in the oven. Recipe here.